Helion Technologies, Inc. is one of the nation’s fastest growing and largest Information Technologies Managed Services providers. Helion deliver’s unique expertise and value to automotive (as Helion Automotive Technologies) and heavy trucking dealerships (as Helion Trucking Technologies) across the United States and Canada. Our service, account, project and back office team members are staffed with leading industry talent. So why join Helion? Helion is an exciting place to develop your skills and experience the satisfaction of a job well done while participating in a dynamic, fun, hardworking team. 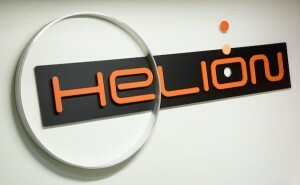 Helion Technologies, Inc. started in a basement in 1997. Sure, it’s a great success story but what does it mean to you? For starters, our roots are firmly planted in being agile, scrappy and full of grit. We are passionate about our clients and ensuring that every one of them is a reference for us. Over the years we have learned that listening to our clients (and team members) is how we grow, adapt and continue our success story. Guess what, it’s working. Since our founding in 1997 we have grown to over 25,000 seats under management and we aren’t stopping. Small and scrappy was great, but bigger is in fact better. Our scale has allowed us to refine our support process, attract top talent and streamline things like on-call schedules and technologies we employ. We are big enough that you will have rich benefits, time off (really, no calls) and meaningful opportunity for advancement. Yet we are small enough that you will know everyone’s names. We’re a band of like-minded individuals who all believe the client’s best interest is the end goal. Our camaraderie is solidified in our ability to share knowledge with one another; cutting out any bureaucratic red tape and getting real results that matter to our clients. We help each other and truly believe every Helion team member has the opportunity to grow professionally throughout their career. That’s our promise. Are Your Talents Not Listed Above? Contact our Recruiting team at Jobs@Heliontechnologies.com for general inquiries. Know someone else who would benefit from working at Helion? Share our site with them.